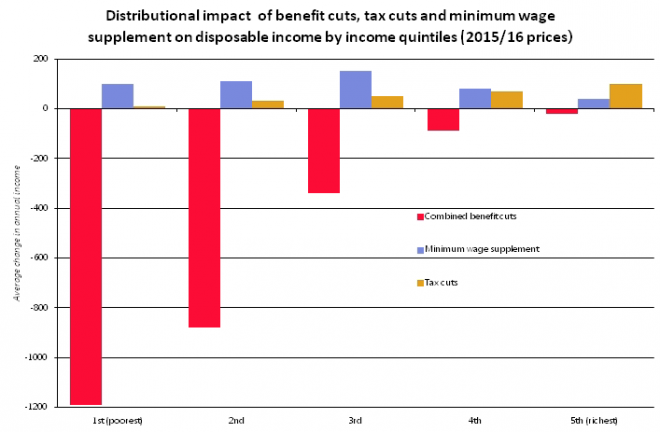 Has anyone else noticed a drift into a change in the language we use to explain the benefit system? “Social Security” has somehow been replaced in the press and parliament by the words “Credits” and “Benefits” – Americanism’s that are generally a cause to look down upon the recipient. In time gone by, the “Ministry for National Insurance” was hailed as one of the greatest achievements of post-war Britain – ensuring that those at the bottom rungs of society would never fall to the levels of poverty seen in the early part of the 20th century, but have support when needed “from the cradle to the grave” – and was reimaged as the “Department of Health and Social Security” in 1968. But since the frenzied installation of the free markets and crony capitalism in the 80’s – where everyone could be middle-class and “love thy neighbour” turned into “dog eat dog” – we have become more and more conditioned to see those needing help from the state as an underclass. Successive governments have nibbled away at the notion that people are entitled to help in their darkest hour (from the division of 1988’s “Department of Social Security” to include the “Benefits Agency” in 1991 by the Tories, to Labour’s “rebranding” of social security as “New Ambitions for our Country: A New Contract for Welfare” in 1998) using underhand semantics and campaigns via the media to erode the pride we once had in providing for those less fortunate than ourselves. The language is key in all of this. The word “security” tends to imply safety and protection, and “welfare” portrays the state of someone’s well-being and happiness. “Benefits” however presents the image of something additional that someone gets without entitlement. So is it a deliberate manipulation of people’s perception of those on welfare as takers who don’t strive to deserve more, instead of people being taken care of by the nation via social security? The next words to be used in this regard have been given to us by the Odious IDS’S DWP – ‘Universal Credit’. My perception of the word credit is something to be repaid, despite the fact that the majority of society have paid into the system – like I personally have all of my working life. So we have gone from “The safety and protection of people’s well-being and happiness”, to “Additional assistance that isn’t guaranteed and people will have to pay back”. The public is being farmed to be hostile to anyone in the social security system – sit through an evening of Channel 5 programming and this will become all-too apparent. We are now encouraged to turn against our fellow class; to view them as “scroungers”, “cheats” and “scum” when they are merely people, like you and I, who (for whatever reason) need some help in life. We need to rediscover our class solidarity, our compassion – and our backbone. It is high time we, as the 99% of society, remembered who the real “scroungers”, “cheats” and “scum” are – those we bailed out in 2008. Reblogged this on Mutterings from The Left.